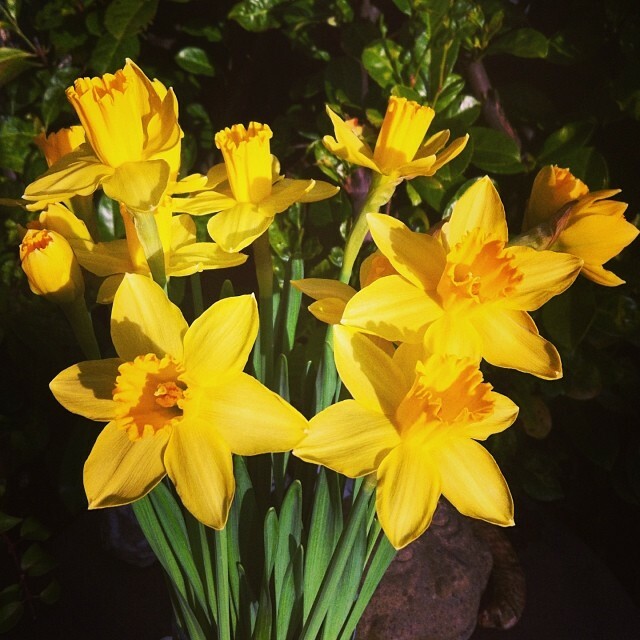 daffodils | and sure stars shining . . . I was writing in my journal a few minutes ago, and stopped to marvel at the almost-overnight change in the garden. The first daffodils are blooming. The lilac is showing its buds. The dogwood too. Purple and white crocus are in bloom as well. Hummingbirds have migrated as far north as central Arkansas. They will be here before Easter. This entry was posted in Daily Life, Garden and tagged crocus, daffodils, Garden, SPRING! on March 24, 2019 by Jeffrey Carter. This entry was posted in Photography for fun, Travel 2017 and tagged birds, Central Park, daffodils, New York City on March 12, 2017 by Jeffrey Carter. ….on the Facebook page of an acquaintance from Gloucestershire, UK, I see this post of daffodils blooming in his garden today in temperatures of 46 F.
Spring is indeed just around the corner, or so I shall tell myself in 12 inches of snow and 4 degrees above. This entry was posted in Daily Life and tagged daffodils on January 7, 2014 by Jeffrey Carter. At 7.45 a.m., mild sleet. 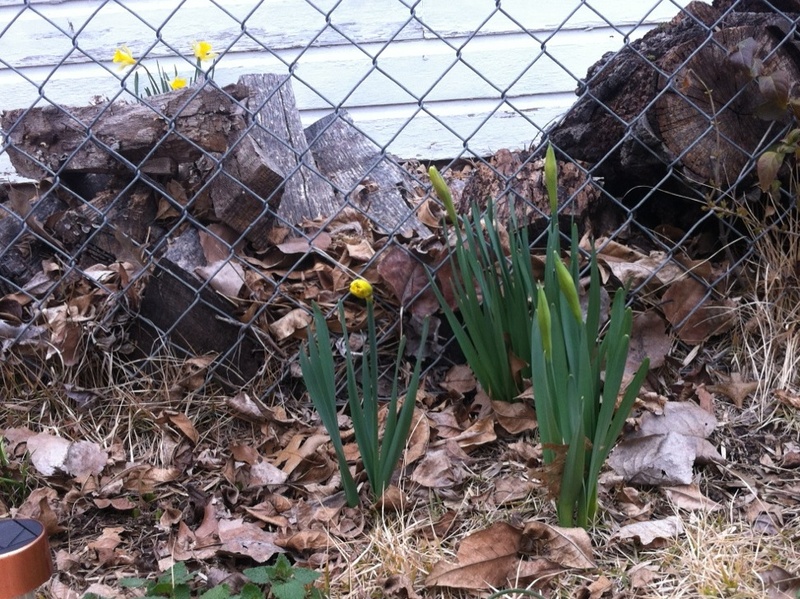 Three days ago, the daffodils were ready to open. I cut two of them after church today, so that they won’t freeze in the snow (although I think they’re pretty hardy). This entry was posted in Daily Life and tagged daffodils, nature, palm sunday, weather on March 24, 2013 by Jeffrey Carter. The Ides of March have passed. Spring is nigh. 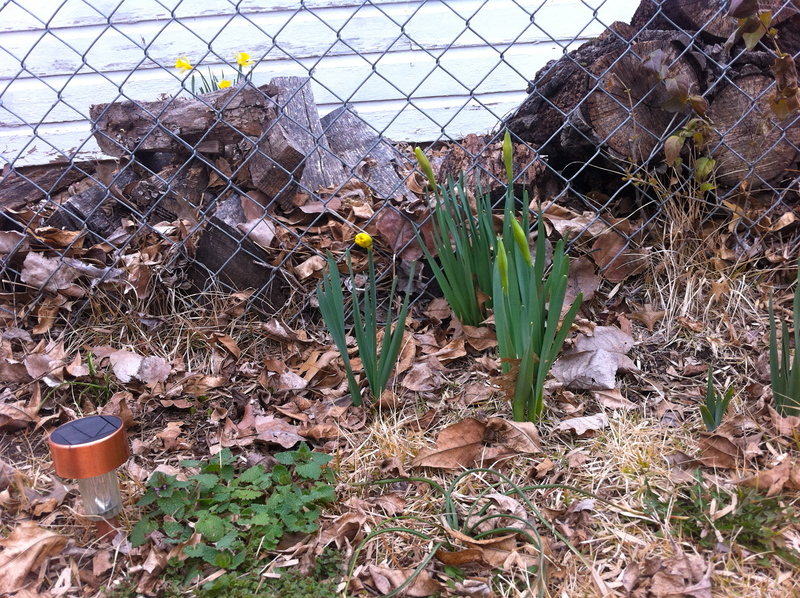 The daffodils in one corner of the back yard are ready to burst. 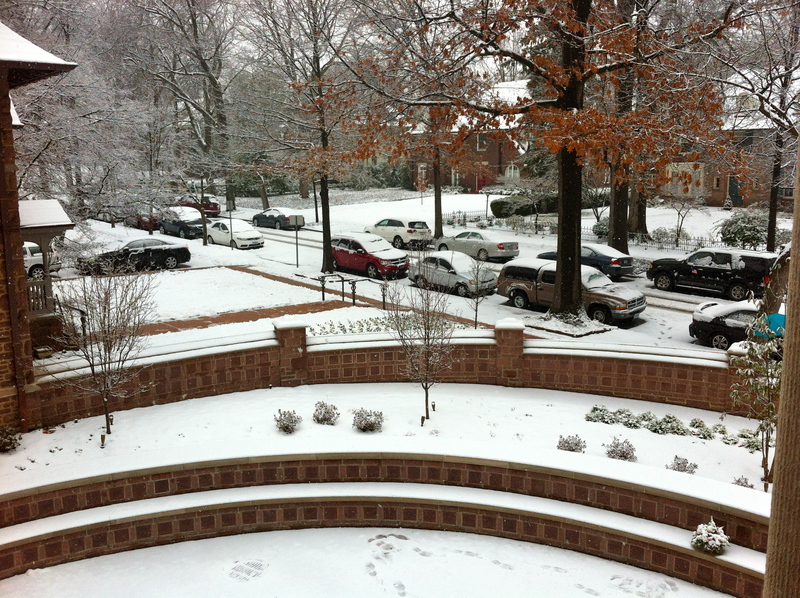 By week’s end, we will have Spring. This entry was posted in Uncategorized and tagged daffodils on March 17, 2013 by Jeffrey Carter. 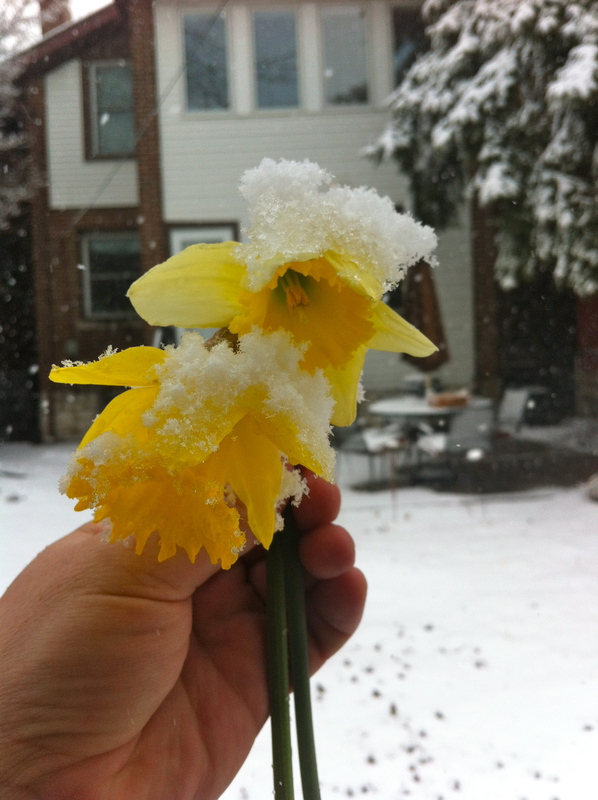 This entry was posted in Daily Life and tagged daffodils, tulips on February 21, 2013 by Jeffrey Carter.